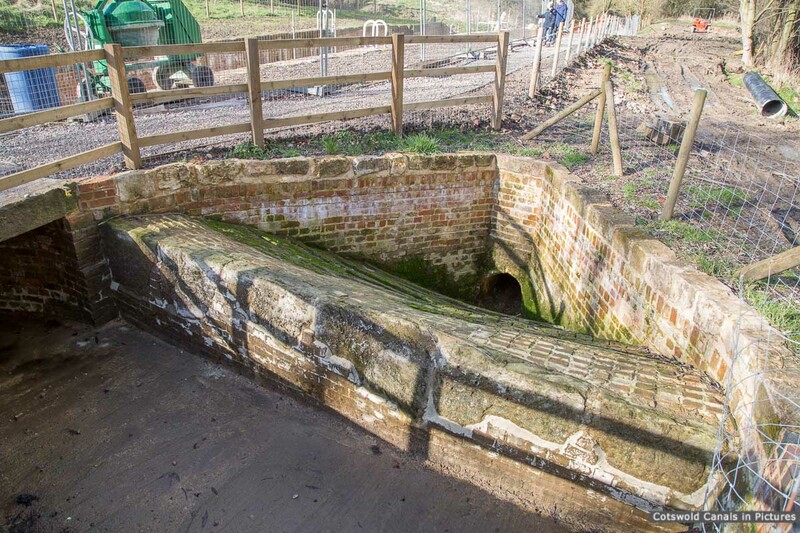 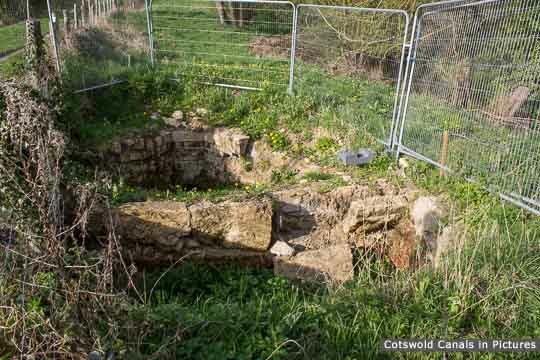 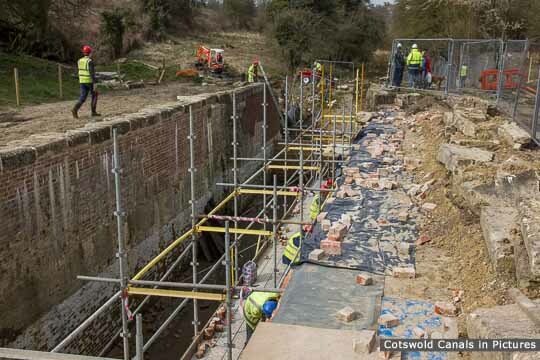 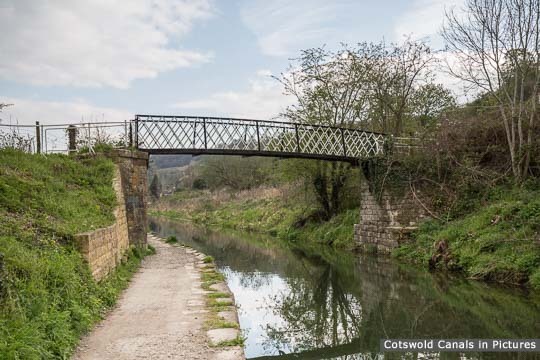 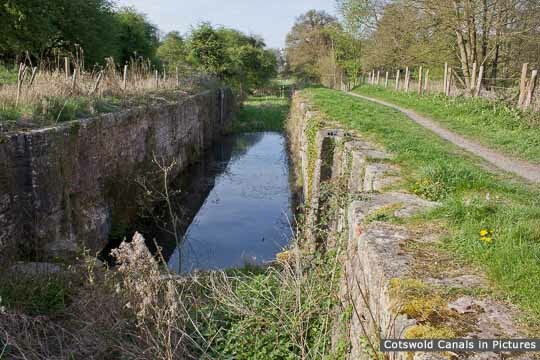 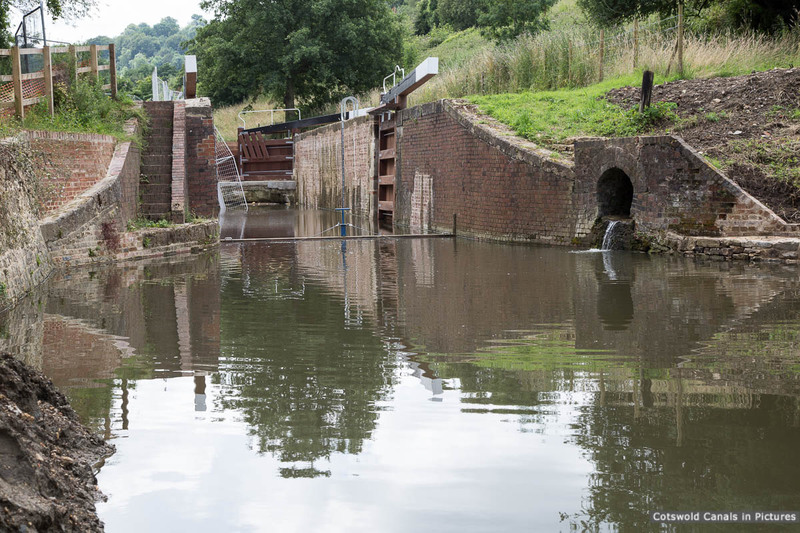 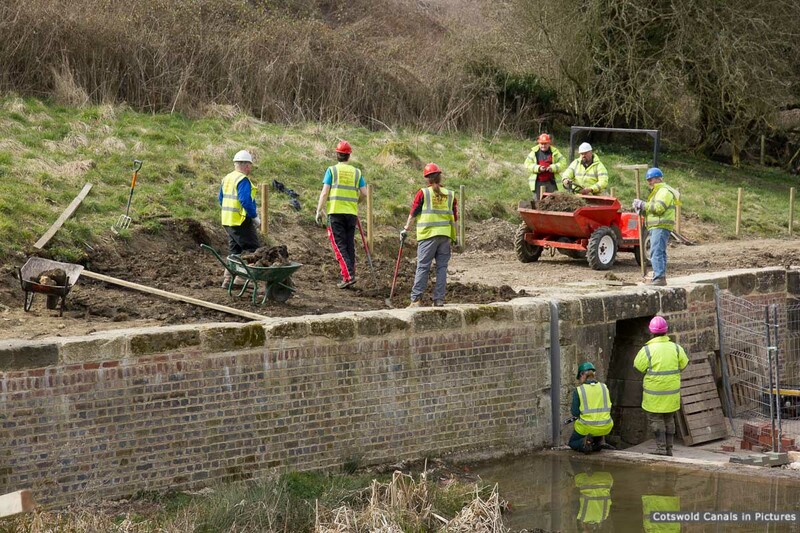 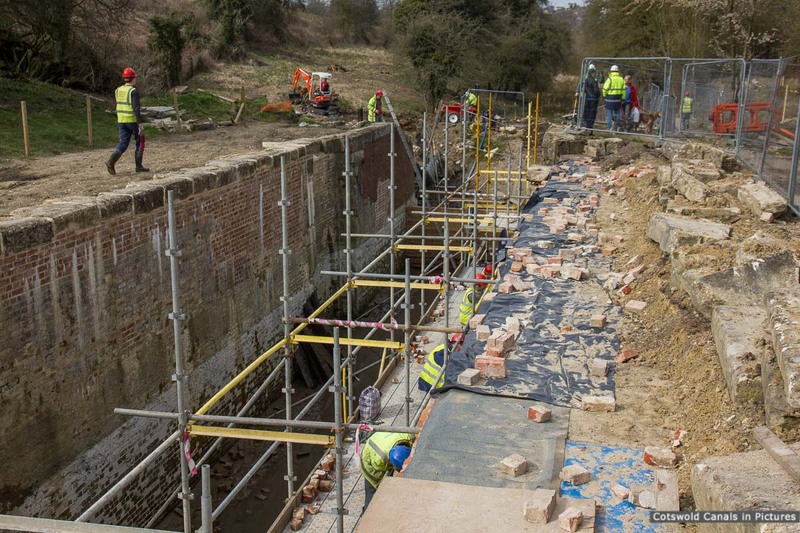 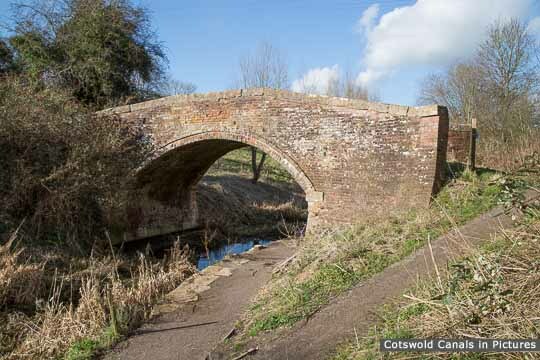 This lock is currently being restored by volunteers from the Cotswold Canals Trust and visiting groups including the Waterways Recovery Group (WRG). 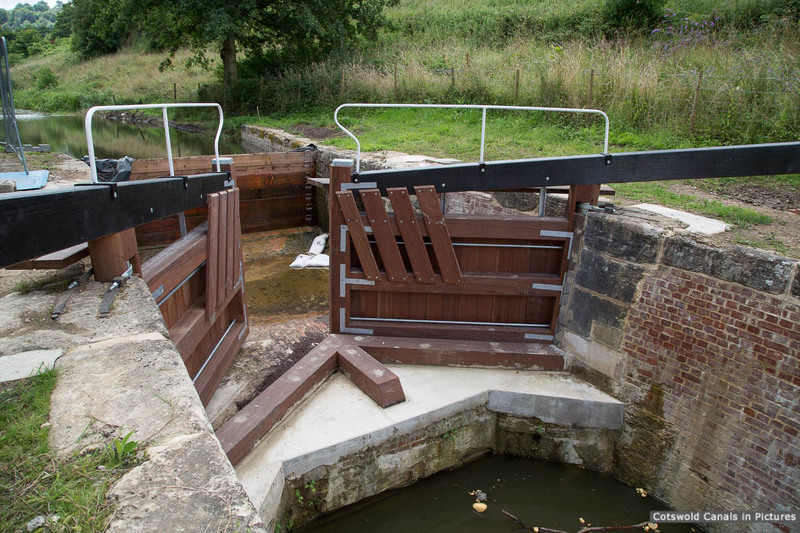 The lock restoration is virtually complete. 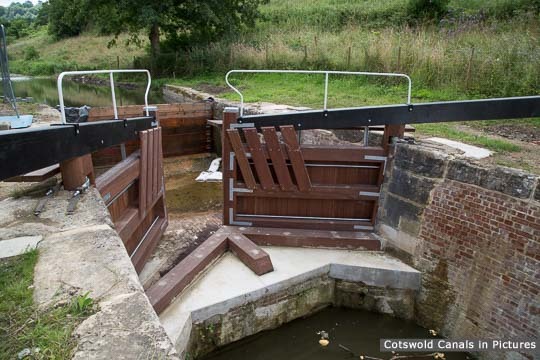 Landscaping above completed offside lock wall. Griffin's Mill Lock before latest restoration - view towards Stroud.